Are you a nonfiction reader? My Mentor Book Club offers their subscribers two hardcover books that mostly seemed aimed towards personal and professional development, though there is some nonfiction stories included in the mix. I first heard of this subscription service at the beginning of the month when I saw an advertisement via social media to get the first box free. Of course I clicked, because I love to read and this is an area of reading that interests me. Therefore this was an offer I was willing to check out. 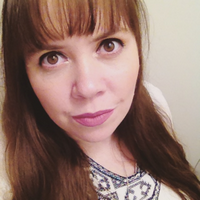 Upon clicking into the website I was taken aback by their regular rate of $52.00 a month. To be honest my jaw kind of dropped in that moment. Initially I honestly thought it had to be a joke. I was intrigued with the idea of the book box still, but the price tag seemed ridiculously high for just two books. So I made a couple inquiries on how the service works with an online chat box that popped up on their site and once I was assured that I could cancel anytime, I opted to give this box at least a try. After all, the first box was free right? Signing up for the free box actually cost me $8.00 – which to be fair, I can handle paying the shipping and handling. However I do feel like the automated e-mails that came after I signed up and when my August box was shipped could use some sprucing up. For example the words kind of ran together in some spots, as in there was no spacing between them. Plus in one of my e-mails they made the mistake of sending an automated one that claimed my shipping was on them. I did contact the company to which they promptly responded and apologized for the mistake. I give them the credit in that they are new. I think they just launched in June. So they will naturally have some kinks to work out. Here’s the most surprising part of purchase for the free box. I was charged on the 6th of the month and received my box by the 9th. Definitely cool to have it so quick, but definitely surprising. Upon opening the box I was greeted by the little crinkle cut tissue paper things that I see a lot of unboxers refer to as “wormies”. Careful not to get “wormies” all over the place, I discovered my books were stacked neatly in the small box with a ribbon carefully tied around. It’s a nice touch to be honest. 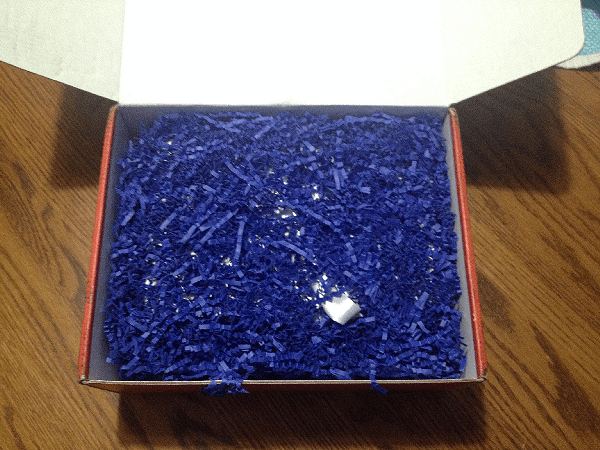 I do feel like the box was packaged with care, consideration, and a pleasant presentation. Removing the ribbon, I was finally able to see the two books I received. 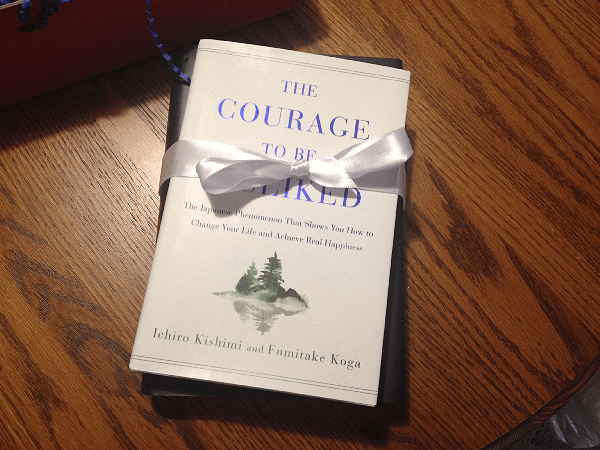 The Courage to Be Disliked: The Japanese Phenomenon That Shows You How to Change Your Life and Achieve Real Happiness by Ichiro Kishimi and Fumitake Koga, which is definitely a personal development book. 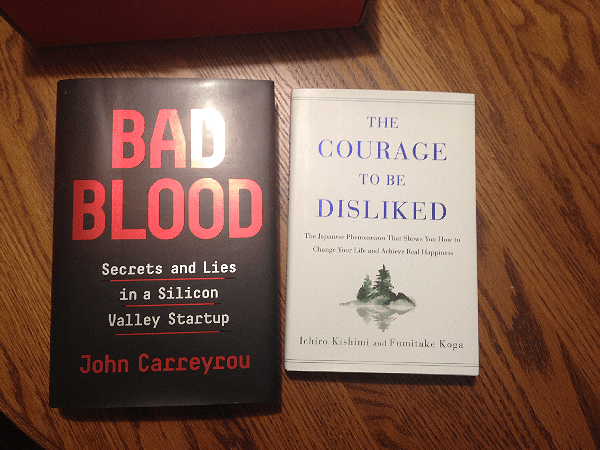 Then I got a non-fiction story called Bad Blood: Secrets and Lies in a Silicon Valley Startup by John Carreyrou. Both books (linked via their titles above) sound absolutely intriguing to me. Honestly, I am definitely happy with the books I received and am very much looking forward to diving into both of them. However I still didn’t quite feel for me, this was a box that is worth $52.00 a month. Let’s break it down by cost of the two books I received. As of the writing of this post, listed on Amazon the first book mentioned costs $16.66, while the second is listed for $16.77 in the same brand new hardcover condition as I received. That’s a grand total of $33.43 – which given the normal cost of one box is $52.00, that’s an $18.57 difference. To be completely fair here, if you go by each books’ list price printed on the inside jacket cover, then you are saving $2.95 by paying the monthly fee here. Since the first book has the price of $25.00 listed, while the second has $27.95 listed. Personally I don’t normally go by those prices since most major retailers tend to bring the cost down from those. I just feel for the sake of giving a fair review here, it’s important to include these. Now I’m not going to pretend to know what it costs to run a subscription service, but I do know what I am willing and not willing to pay as a consumer. No matter how nice I found the packaging to be or their customer service (from my brief interactions), I can’t fathom for myself to spend this kind of money for just two hardcover books. For that reason, I’ve already canceled my subscription to this box. What I personally find disappointing most about this, is as I mentioned before I am really happy about the books I received. 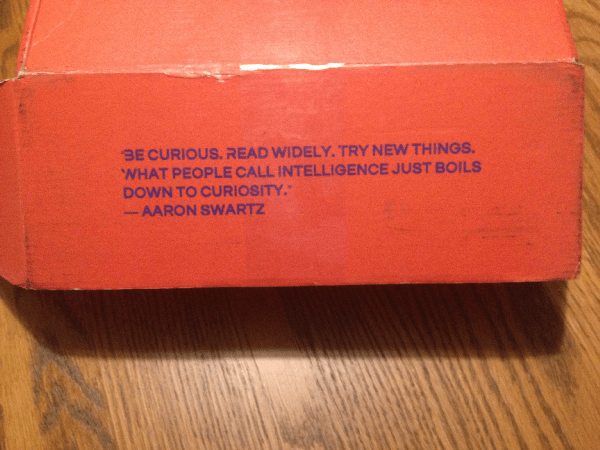 Plus I love the concept of this box. I don’t think I have ever seen another nonfiction book subscription box out there. Maybe in the future My Mentor Book Club can find a more cost efficient way to go about business that will allow them to lower their monthly fee. If the price comes down enough in the future I would definitely reconsider them for sure. In the meantime for me this is unfortunately a pass. 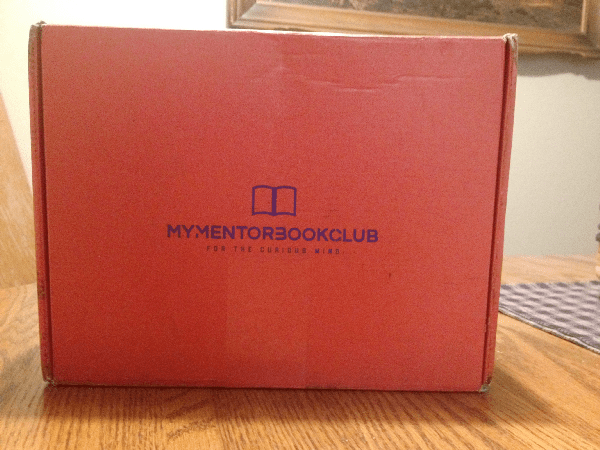 If you however are genuinely interested in trying this box out for yourself, then by all means head over to MyMentorBookBox.com to check them out. Honestly – I’m way too control freaky to let a book club pick books for me and I hate sending stuff back so this wouldn’t be for me. I would love a book club I could choose from though! For a decent price, I really don’t mind having random books sent to me. I personally find it kind of fun, as it invites the idea of books I might not have normally heard of before to enter my life. As far as a box where you can pick your own books, for you I’d recommend checking out Book of the Month. You can pick from 5 options each month and even add additional books to your box. I tried them forever ago now; I think I might try them again to give them a proper review here. Hi Jane, thank you for your honest review of our subscription box. Your feedback will help us to improve our service and offering. Your main concern was around pricing so I would like to address it. Compared to our competitors (Leaderbox at $79/month + shipping and mentorbox at $139/month if you select the physical copies) we are very competitively priced. The book business, unfortunately, is a very low margin business, so even though we buy books in bulk, the discounts are not like they are for other industries. After paying for the box, shipping, and other business expenses there isn’t much left on our end. In the future, as we scale and can get steeper discounts on books and boxes we do intend to lower the cost of the box. Unfortunately, no one outside of Amazon can compete with Amazon pricing. We’ve found that many of our customers have chosen us because we take care of finding what books to read for them. Again, thank you for the honest review and we hope to have you back as a customer in the future. Enjoy the books! Thank you for taking the time to read and respond to my review. To be completely honest here, I wasn’t even sure you had competitors since you are the first nonfiction box I’ve personally heard of. I can certainly appreciate that it must cost a lot to run a subscription box of any kind. With getting product, packaging, staff, and so forth. I can also appreciate that you are a newer company and it takes time before you can get into some serious discounts that will allow yourselves to lower the box cost. I do hope to see it happen in the future, as I will definitely be interested in returning. Thank you again for your response to the review! Thank you also for the free box offer that allowed me to sample your service for myself and receive two awesome books.